If you’re on this page, then you already know you need to grow a house cleaning business to make SERIOUS money! That’s how I built my business to earn over $100,000 the first year I used my formula…by hiring workers to do the cleaning for me. Now – don’t just jump right in and start hiring! There’s more to hiring and managing workers than you can ever imagine. 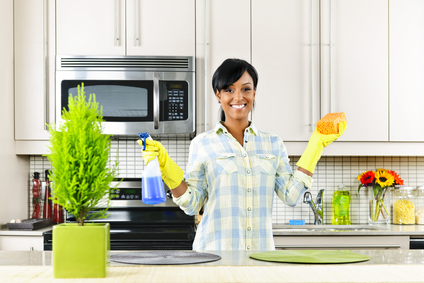 Maybe you think you can hire experienced house cleaners and get the job done right. 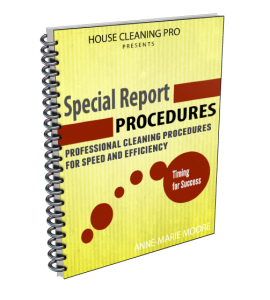 Not so – I found many experienced house cleaners have acquired a lot of bad habits over the years. This took a lot of training to get them to do the work MY way. And some didn’t want to do it MY way. Before you try and deal with all these issues, make sure you know what to expect and make sure you do it right the first time. Do you need to know how to standardize and create processes in your business so you can hire workers? Then you might want to look into my House Cleaning Pro Business-in-a-Box to start a cleaning business. Step-by-step instructions for cleaning everything in the home divided between the dry and wet work. These procedures enable you to move swiftly through the house in the most efficient manner. Most importantly, these procedures ensure you and your workers don’t miss anything as you move from one room to the next. This is one of the best ways to prevent customer complaints in your business. Hiring workers to do all or part of your jobs is your key to maximum profits. Working alone, you’re limited to the number of jobs you can complete and you’re also leaving yourself open to injury and exhaustion! Discover where to find employees, how to perform the interview process in a legal manner, working with experienced cleaners, making the offer, and training. Employees and house cleaning workers must be managed correctly to minimize injuries, damage and breakage in client homes, and to keep them motivated. Discover how to give performance reviews, when and how to terminate workers, managing the use of automobiles (yours and theirs), preventing theft, salary, benefits, and rewards. You can’t manage people if your policies are inconsistent. 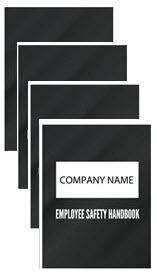 A handbook accurately communicates your policies regarding employment, conduct and behavior, compensation, and other policies and procedures your organization follows.